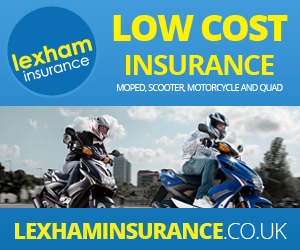 E Rider › Forums › Our Community › Insurance before registering moped? Need help. This topic contains 2 replies, has 2 voices, and was last updated by Ken Ferguson 8 months, 3 weeks ago. I’m a bit confused looking at the V55/4 to register my new moped. It asks for insurance documents – but to get insurance (with Lexham, for example) I need a registration for the moped, right? Sorry for posting 3 times but I can’t edit my own posts. Jason kindly replied and informed me his initial V55/4 didn’t include a certificate of insurance. I think I’ll go ahead and send the form off. There is a confusing tick box on the form which includes insurance docs but of course you need to be registered first.